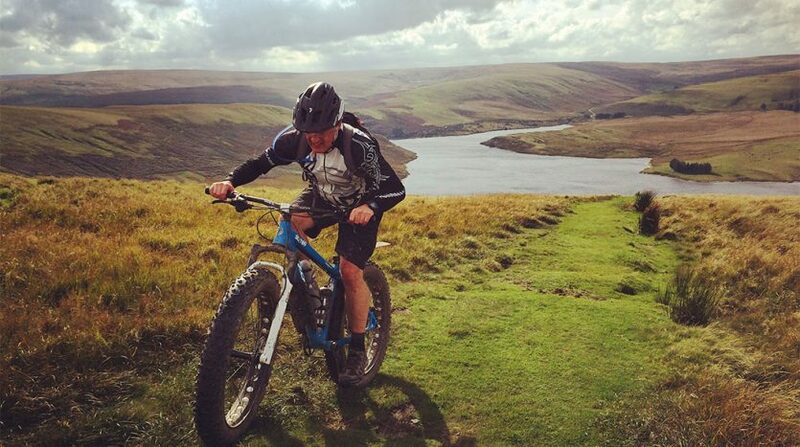 When taking in Wales on 2 wheels you may have noticed a few tongue twisting trail and section names. Behind each trail name there’s usually a story, something to do with the areas history, a link to the landscape or sometimes just a funny story that happened as the trail was built. Blue Scar, Afan Forest Park takes its name from the mining history of the area. When coal miners had injuries such as cuts the scars left behind were usually blue from the coal dust seeping in. Blue Scar reminds us of the past history of the destination that we now know and love as Afan Forest Park. King Arthur (one of the world’s best loved legends) was the inspiration for Arthur 2 Times in the Clwydian Range with its link to Moel Arthur (which you pass the base of twice on this trail). An ancient hill fort, it was believed to be one of King Arthurs’s homes. Evidence has been found showing activity on Moel Arthur as early as the Bronze Age. Roman Camp, Elan Valley is less of a legend based reference as we know they were here (!) Taking you across open hills high above the first Elan Valley reservoir and dam, this trail gets its name from the Roman fort or ‘marching camp’ discovered on Esgair Perfedd as recently as 1966, represented by a low earthwork enclosure of characteristic ‘playing-card’ layout dating around AD 74–80. The camp was built to house a force of about 4,000 men and their supplies in tented accommodation for perhaps only a matter of days. Black Mountains Blitz, Brecon Beacons gives us another locations for one of our real “legends” of history, Geraldus (Gerald of Wales) who was selected to accompany the Archbishop of Canterbury, Baldwin of Forde, on a tour of Wales in 1188. The object being a recruitment campaign for the Third Crusade. Gerlaldus later wrote (in Latin) an account of that journey, the “Itinerarium Cambriae”. Much of this section takes in his legendary (and long!) route from Talgarth to Abergavenny and can be followed using the Black Mountains Blitz & Mynydd Du mountain bike routes. Apart from the spelling not much else has changed on the route as his description below reveals. A bit of Welsh mythology here commemorated in the BendyG (or Bendigeidfran in Welsh) coming soon to Antur Stiniog. Bendigeidfran was said to be the Giant King of Britain who walked the Irish Sea to rescue his sister Branwen who was married to the King of Ireland…..not to far away from Antur Stiniog may we add. Cafall – is the name of King Arthu’s dog, used in the hunt for the great boar, Twrch (another trail name) Trwyth. Cafall was Arthur’s “favourite dog”, and during a stag hunt, he was customarily the last dog to be let loose to chase after the game. Legend has it that Cafall left his permanent footprint in the rock while pursuing the boar. By the way, don’t forget that our legendary trails now come complete with some truly epic accommodation and refreshment stops en route and nearby…the Romans not to mention Geraldus would have appreciated them we’re sure!